Providing health and social care network services to the public sector, Virgin Media Business wanted to educate the audience at BAPCO 2017 about their vast array of products and services. Lead generation was also a key objective to making an exhibiting ROI. 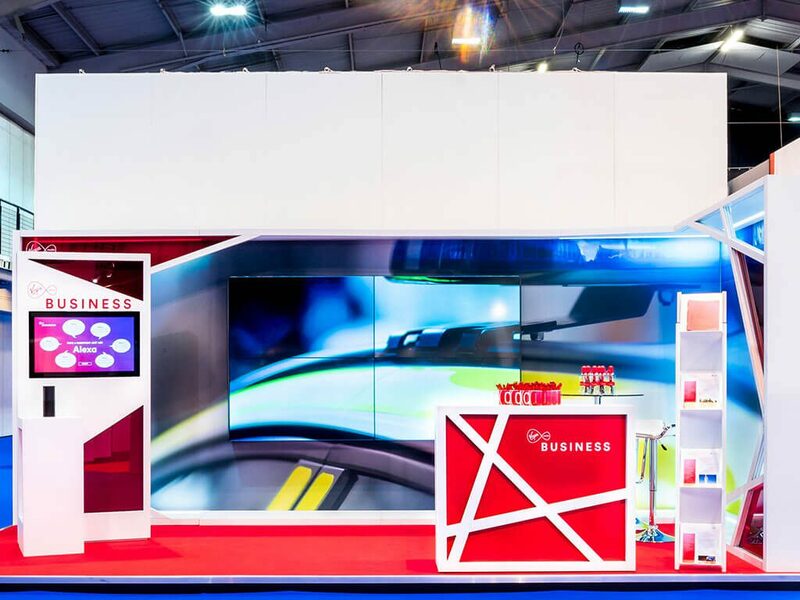 We designed a brand-new stand inspired by the sharp angles of the hashtag used in Virgin Media Business’s exhibiting campaign #Adapt. 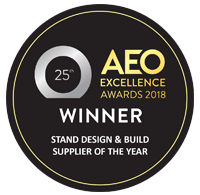 We used a 4-screen wall configuration to display their campaign presentation, which blended seamlessly with the stand’s graphic background when not in use. 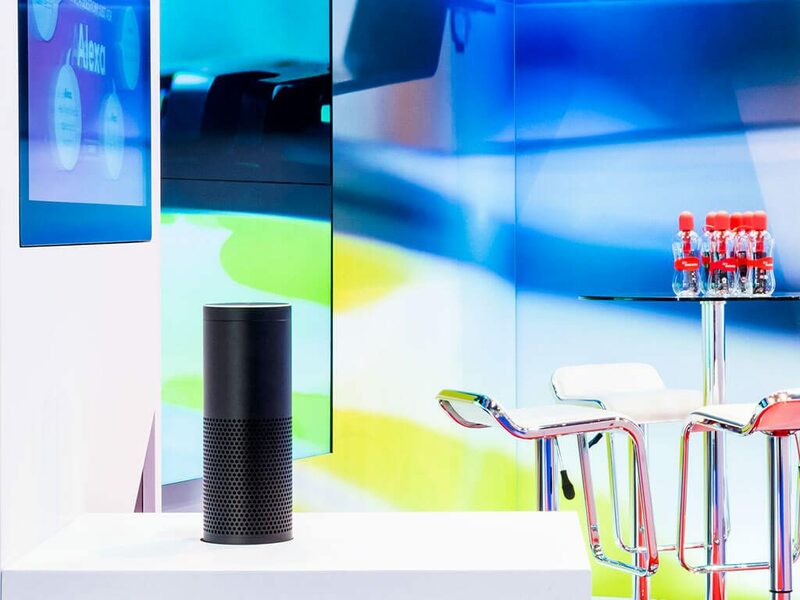 The Nimlok team coded an Amazon Echo to engage visitors, prompting them to ask Alexa pre-determined questions about Virgin Media Business’ products. A touchscreen pod also facilitated a survey acting as a market research and data capture tool. 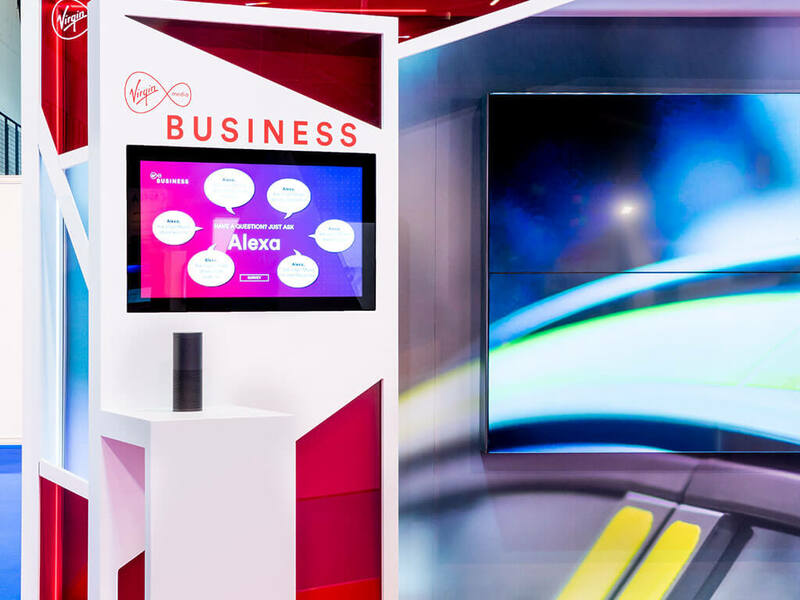 Visitors asked Alexa over 60 questions per day, increasing brand awareness and educating the audience of BAPCO about Virgin Media Business’ product offering. The cutting-edge disruptive technology attracted large audiences and the stand received heavy footfall throughout the whole event.